SA JP Stamps are available to purchase online in addition to purchases by email, phone or fax. Our SA JP Stamps have been put in to five categories to help you refine your search. Affidavit stamps include your name and number with the exception of a few stamps that don’t require that information. The certifying stamps include your name and number with certain stamps including your address therefore saving time when witnessing. Your name and number are included in these stamps. Disability/Language stamps can be used in particular situations when the deponent has a sight/hearing/language difficulty or other disability. 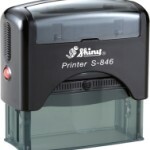 All our SA JP Stamps are self inking and are available in Black, Blue or Red ink. We manufacture onsite and can offer great prices and of course a quicker service. The pads will eventually fade and need replacing or re-inking. 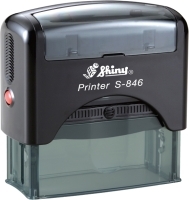 Refill ink pads are available for your SA JP Stamps when its time to replace or re-ink. Customers can purchase the pads or ink online as well as by email, phone or fax. The pads are easily removed and the new ink pad slots effortlessly back in to place. Different wording is available if you don’t see what you need in the samples we have on display in our cart, contact us and we will change the wording to suit your preferences. Hand Stamp versions are available. Call or email us for a quote on the Hand stamp version of the stamp.